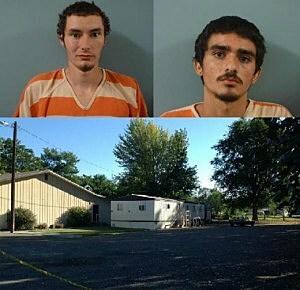 Benton County authorities report 19-year-old Noel Gonzalez and 18-year-old-Noah Matlack of Benton City are going to be charged in the murder of 55-year-old Mike Edwards. He was found dead Monday morning in the parking lot of the Assembly of God church in Benton City. He had apparently been stabbed multiple times the previous evening. Authorities said the two were arrested after they had tried to sell some rare coins at a truck stop. Stanfield police made the arrest. Matlack reportedly told investigators he was given the coins by an old man in Benton City. Police said cash, marijuana and pills were reportedly found on the two men. Reports indicate Edwards had called his brother fearing for his safety. He had rare coins, money and medical marijuana at his home. Police later found Edward’s home had been ransacked and his safe pried open.